Software register certificate #2015616160 02 June 2015. 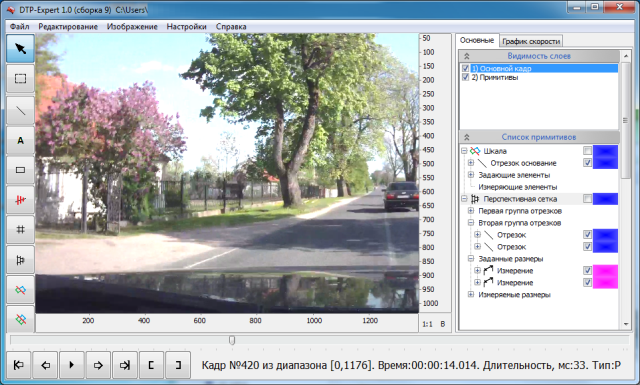 «DTPExpert» is the special software application for forensic analysis of traffic accidents video recordings. 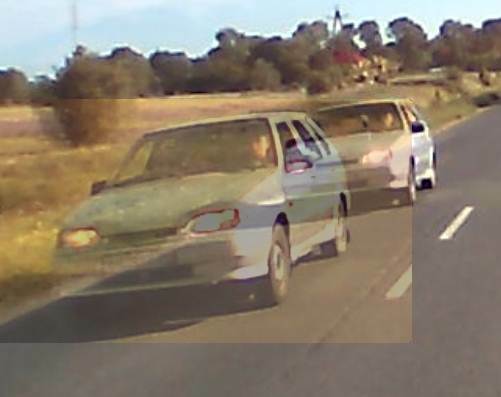 The main tasks of forensic video examination during traffic accidents analysis are establishing of distances, time intervals and speed of moving objects. Most typical tasks in this field are playback of video files of different file formats, distortion compensation, building of geometrical constructions, frames overlay. Nowadays many different software solutions allow solving only different parts of these tasks and in the same time, additional work that has to be done by the examiner does not guarantee the result. 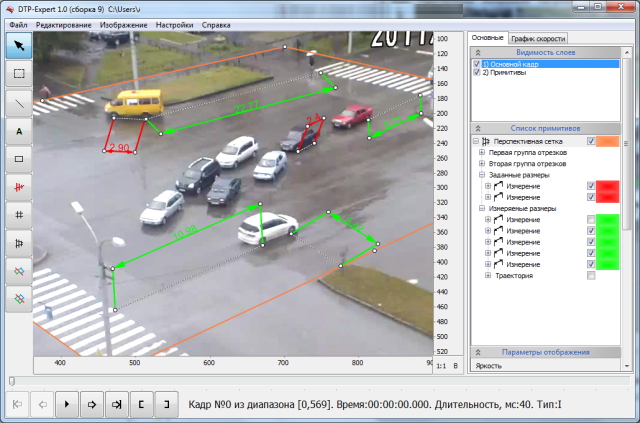 «DTPExpert» is developed according to the requirements of complex video analysis of traffic accidents. Geometric constructions, establishment of real distances, time and speed of vehicles, frame to frame object tracing are unique tools that were implemented in the system during its development hand-by-hand with practicing examiners. The system is designed to raise up experts’ performance. Intuitive and powerful tools collected into a complete set allow to focus on the task and reduce time expenses needed to switch between different applications. 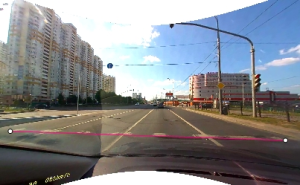 The system is approved by scientific council of Russian Ministry of Justice Forensic Examination Centre to be used during traffic accidents investigation. Playback of all widely spread and specific video formats in frame-by-frame, forward and rewind mode. Improvement image parameters (contrast, brightness, color) for all frames and/or their regions. Building, editing and storing of different geometrical primitives over main image layer: lines, quadrangles, perspective grids, etc..
Building of geometrical constructions for distances measurement (considering perspective distortions, vanishing point). Freezing frame (or frame region) and overlaying it over another frame controlling its transparency. Time coordinate (with 1 ms accuracy) for each video frame. 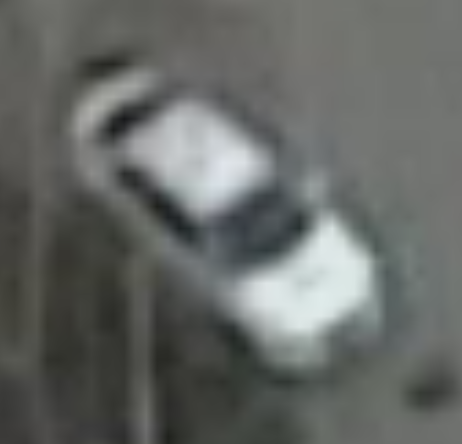 Frames per second rate calculation according video time stamp automatic calculation. 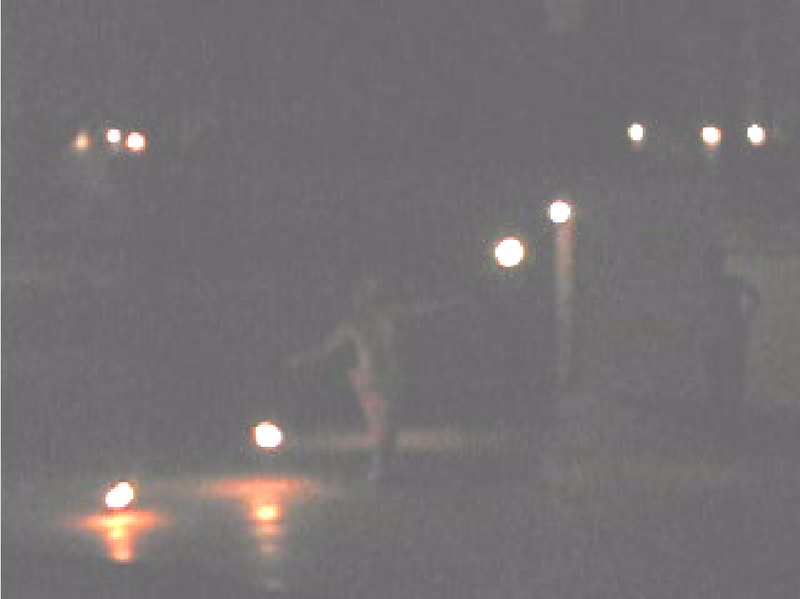 Moving objects speed and its changing (acceleration) automatic calculation. Saving of separate frames images together with all user graphic data. Analysis of region brightness changes using brightness to frame plot. 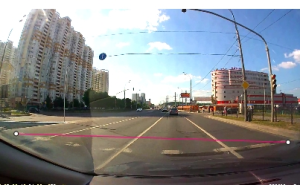 «DTP-Expert» provides comprehensiveness and completeness of the forensic study of traffic accidents videos, significant improvement of experts’ performance, avoiding of typical mistakes (e.g. estimation of time) that occur using not specialized video and image processing software applications are the focuses of «DTP-Expert».